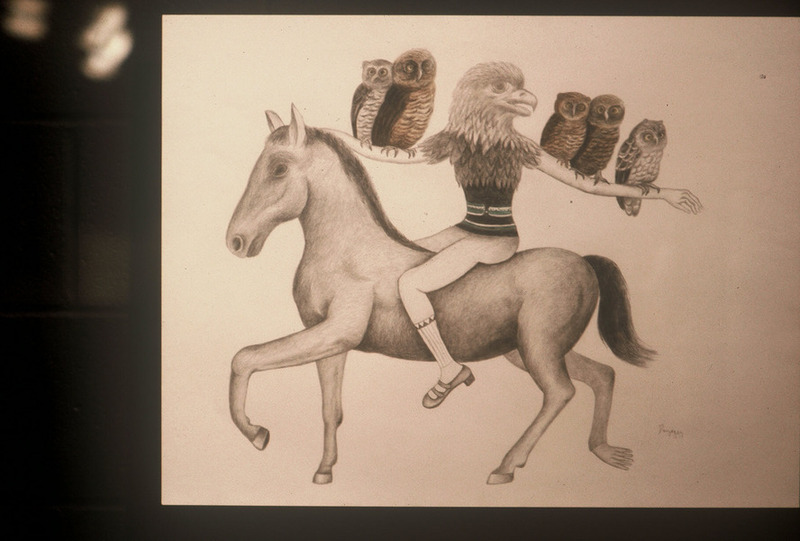 Owl Mother, 18"x20",colored pencil drawing, 1983, private collection. 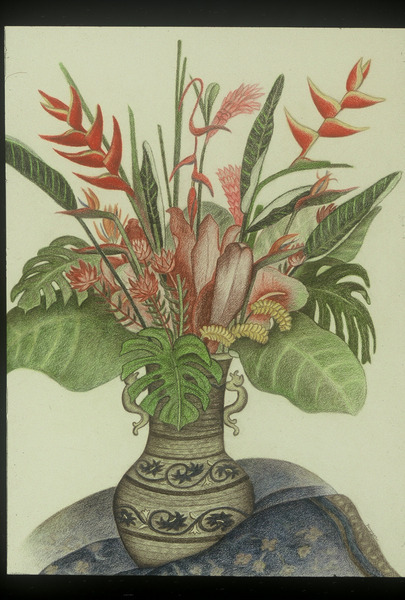 Still Life, 18"x24", colored pencil drawing, private collection. 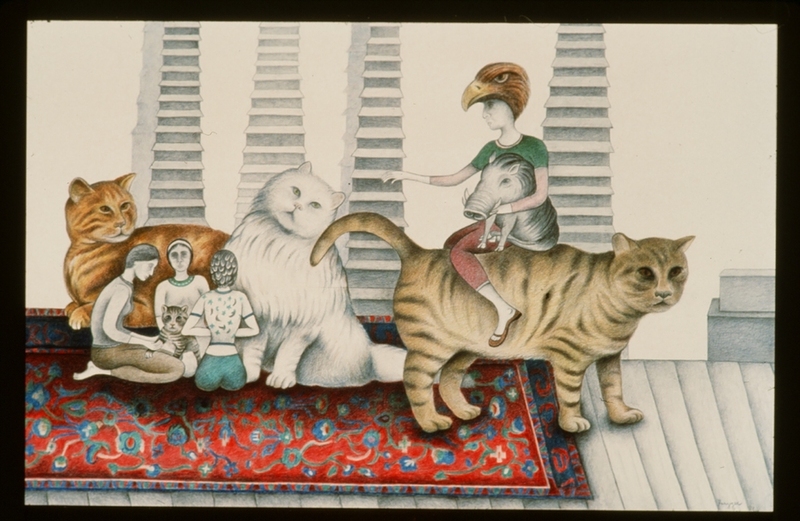 Ozymanadis; 23"x31", colored pencil, 1982, private collection. 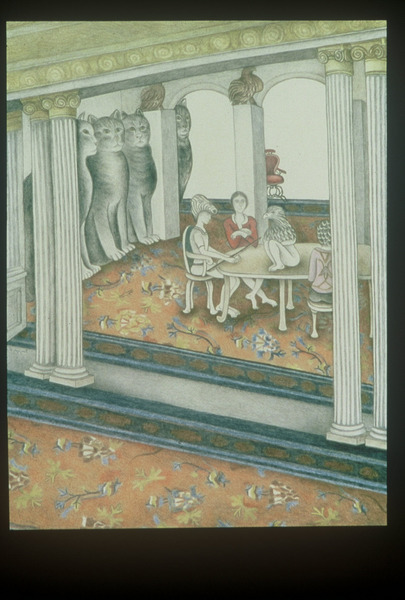 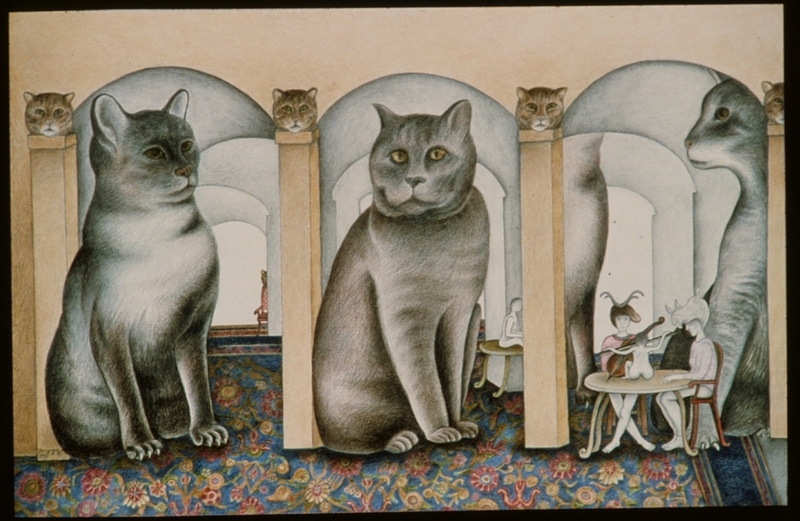 Secret of a Jade Garden; 23"x31", colored pencil, 1982, private collection.